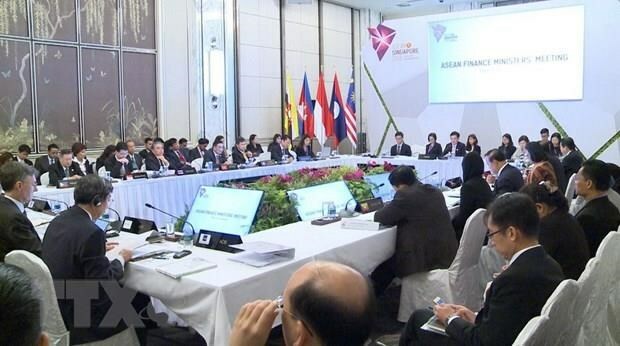 Bangkok (VNA) – Thailand will not cancel the 23rd ASEAN Finance Ministers’ Meeting in Chiang Rai this week despite severe air pollution in the north in the past few days, Lavaron Sangsnit, director-general of the Fiscal Policy Office, said on March 31. The country’s government affirmed that all meetings will take place in closed-door rooms installed with air purifies to ensure health for the participants, he said. The ASEAN Finance Ministers and Central Bank Governors’ Meeting are scheduled to be held from April 2-5 with the participation of 300 delegates from the 10 ASEAN countries plus East Asia, the US, and Europe. The regional ministers will highlight cooperation in using more local currency for trade settlement and investment, cross-border electronic payment, digital-asset oversight and cyber security in financial transactions. They will also discuss three key areas of cooperation: connectivity, sustainability and resilience. Ministers will talk about financial inclusion to enable individuals and small businesses to access credit.